Mazie Mae was picked for our 5th Annual Blaze's Ride to the Rescue Trainer Challenge. She was chosen by Youth Trainer Jordan Connelly. 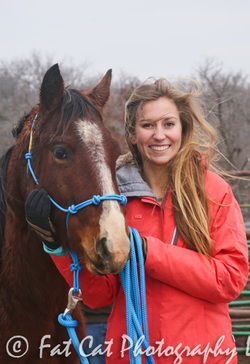 Jordan will be working with Mazie Mae for the next 120 days, turning Mazie Mae into a dependable riding companion. Jordan will be going against 7 Trainers in our Trainer's Challenge. We also have 10 Adult Trainers competing in our Trainer's Challenge. Competition is set for May 21, 2016 at the Lazy E Arena, Guthrie, Oklahoma. For additional information regarding our Trainer's Challenge, please visit our trainer's challenge website and follow your favorite Trainer/Rescue Horse on their journey to competition. Blaze's Ride to the Rescue Trainer Challenge. Mazie Mae will be available for adoption throughout the competition on May 21, 2016 through an all day silent auction.​ Mazie Mae is a sweet girl and loves attention. Mazie Mae has a current negative coggins, up to date on vaccinations, deworming, teeth floating and hoof maintenance. Mazie Mae has also been freeze branded for her protection. 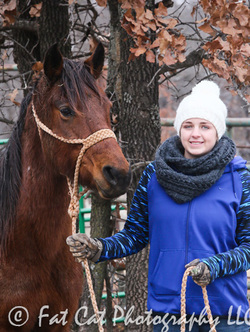 If you are interested in adopting Mazie Mae, please submit an adoption application and get your pre-approved status, in order to adopt Mazie Mae or one of our other Rescued Horses competing on May 21, 2016. Lasso was picked for our 5th Annual Blaze's Ride to the Rescue Trainer Challenge. She was chosen by Youth Trainer Jules Curry. Jules will be working with Lasso for the next 120 days, turning Lasso into a dependable riding companion. Jules will be going against 7 Trainers in our Trainer's Challenge. We also have 10 Adult Trainers competing in our Trainer's Challenge. Competition is set for May 21, 2016 at the Lazy E Arena, Guthrie, Oklahoma. For additional information regarding our Trainer's Challenge, please visit our trainer's challenge website and follow your favorite Trainer/Rescue Horse on their journey to competition. Blaze's Ride to the Rescue Trainer Challenge. Lasso will be available for adoption throughout the competition on May 21, 2016 through an all day silent auction.​ Lasso is a sweet girl and loves attention. Lasso has a current negative coggins, up to date on vaccinations, deworming, teeth floating and hoof maintenance. Lasso has also been freeze branded for her protection. If you are interested in adopting Lasso, please submit an adoption application and get your pre-approved status, in order to adopt Lasso or one of our other Rescued Horses competing on May 21, 2016. Misty was picked for our 5th Annual Blaze's Ride to the Rescue Trainer Challenge. She was chosen by Youth Trainer Kai Fontenot. Kai will be working with Misty for the next 120 days, turning Misty into a dependable riding companion. Kai will be going against 7 Trainers in our Trainer's Challenge. We also have 10 Adult Trainers competing in our Trainer's Challenge. Competition is set for May 21, 2016 at the Lazy E Arena, Guthrie, Oklahoma. For additional information regarding our Trainer's Challenge, please visit our trainer's challenge website and follow your favorite Trainer/Rescue Horse on their journey to competition. Blaze's Ride to the Rescue Trainer Challenge. Misty will be available for adoption throughout the competition on May 21, 2016 through an all day silent auction. Lasso is a sweet girl and loves attention. Misty has a current negative coggins, up to date on vaccinations, deworming, teeth floating and hoof maintenance. Misty has also been freeze branded for her protection. If you are interested in adopting Misty, please submit an adoption application and get your pre-approved status, in order to adopt Misty or one of our other Rescued Horses competing on May 21, 2016. Morton was picked for our 5th Annual Blaze's Ride to the Rescue Trainer Challenge. He was chosen by Youth Trainer Kaidyn Lopez. Kaidyn will be working with Morton for the next 120 days, turning Morton into a dependable riding companion. Kaidyn will be going against 7 Trainers in our Trainer's Challenge. We also have 10 Adult Trainers competing in our Trainer's Challenge. Competition is set for May 21, 2016 at the Lazy E Arena, Guthrie, Oklahoma. For additional information regarding our Trainer's Challenge, please visit our trainer's challenge website and follow your favorite Trainer/Rescue Horse on their journey to competition. Blaze's Ride to the Rescue Trainer Challenge. Morton will be available for adoption throughout the competition on May 21, 2016 through an all day silent auction. Morton is a sweet boy and loves attention. Morton has a current negative coggins, up to date on vaccinations, deworming, teeth floating and hoof maintenance. Morton has also been freeze branded for his protection. If you are interested in adopting Morton, please submit an adoption application and get your pre-approved status, in order to adopt Morton or one of our other Rescued Horses competing on May 21, 2016. Boardwalk was picked for our 5th Annual Blaze's Ride to the Rescue Trainer Challenge. He was chosen by Youth Trainer Adam Miller. Adam will be working with Prancer for the next 120 days, turning Boardwalk into a dependable riding companion. Adam will be going against 7 Trainers in our Trainer's Challenge. We also have 10 Adult Trainers competing in our Trainer's Challenge. Competition is set for May 21, 2016 at the Lazy E Arena, Guthrie, Oklahoma. For additional information regarding our Trainer's Challenge, please visit our trainer's challenge website and follow your favorite Trainer/Rescue Horse on their journey to competition. Blaze's Ride to the Rescue Trainer Challenge. Boardwalk will be available for adoption throughout the competition on May 21, 2016 through an all day silent auction. Boardwalk is a sweet boy and loves attention. Boardwalk has a current negative coggins, up to date on vaccinations, deworming, teeth floating and hoof maintenance. Boardwalk has also been freeze branded for his protection. If you are interested in adopting Boardwalk, please submit an adoption application and get your pre-approved status, in order to adopt Boardwalk or one of our other Rescued Horses competing on May 21, 2016. 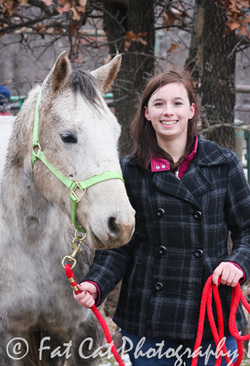 Prancer was picked for our 5th Annual Blaze's Ride to the Rescue Trainer Challenge. She was chosen by Youth Trainer Abby Ocker. 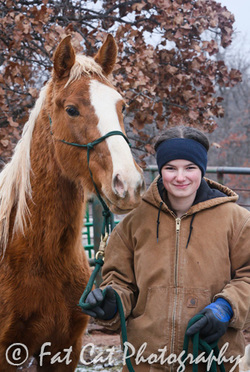 Abby will be working with Prancer for the next 120 days, turning Prancer into a dependable riding companion. Abby will be going against 7 Trainers in our Trainer's Challenge. We also have 10 Adult Trainers competing in our Trainer's Challenge. Competition is set for May 21, 2016 at the Lazy E Arena, Guthrie, Oklahoma. For additional information regarding our Trainer's Challenge, please visit our trainer's challenge website and follow your favorite Trainer/Rescue Horse on their journey to competition. Blaze's Ride to the Rescue Trainer Challenge. Prancer will be available for adoption throughout the competition on May 21, 2016 through an all day silent auction. Prancer is a sweet girl and loves attention. Prancer has a current negative coggins, up to date on vaccinations, deworming, teeth floating and hoof maintenance. Prancer has also been freeze branded for his protection. If you are interested in adopting Prancer, please submit an adoption application and get your pre-approved status, in order to adopt Prancer or one of our other Rescued Horses competing on May 21, 2016. 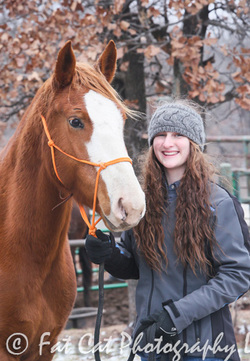 Fallon was picked for our 5th Annual Blaze's Ride to the Rescue Trainer Challenge. He was chosen by Youth Trainer Kami Woodard. Kami will be working with Fallon for the next 120 days, turning Fallon into a dependable riding companion. Kami will be going against 7 Trainers in our Trainer's Challenge. We also have 10 Adult Trainers competing in our Trainer's Challenge. Competition is set for May 21, 2016 at the Lazy E Arena, Guthrie, Oklahoma. For additional information regarding our Trainer's Challenge, please visit our trainer's challenge website and follow your favorite Trainer/Rescue Horse on their journey to competition. Blaze's Ride to the Rescue Trainer Challenge. Fallon will be available for adoption throughout the competition on May 21, 2016 through an all day silent auction. Fallon is a sweet boy and loves attention. Fallon has a current negative coggins, up to date on vaccinations, deworming, teeth floating and hoof maintenance. Fallon has also been freeze branded for his protection. 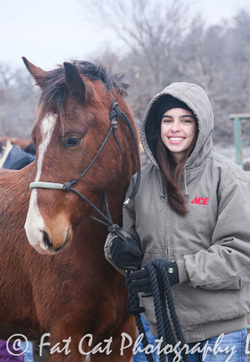 If you are interested in adopting Fallon, please submit an adoption application and get your pre-approved status, in order to adopt Fallon or one of our other Rescued Horses competing on May 21, 2016.